Crystals have long been thought of as strange, mystic minerals, often associated with witchcraft, hippies or voodoo. Quite the contrary, these connotations couldn’t be further from the truth! In fact, in our modern society, these natural structures seem to be making their way into many people’s homes and office spaces. 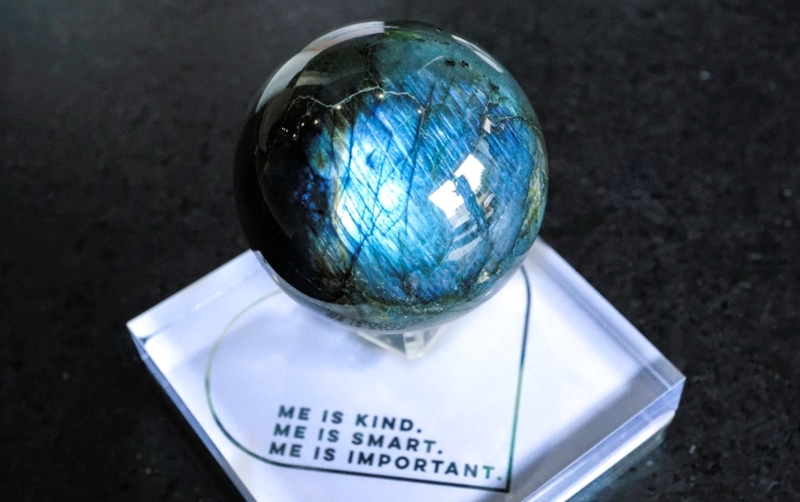 Thanks to the likes of many emerging and well established home and décor brands, the stigma around stones is slowly changing. Before I continue however, full disclosure should be made that I am a self-confessed crystal junkie, and you’ll often find me at the Mind, Body, Spirit Festival checking out all the goodies on offer. 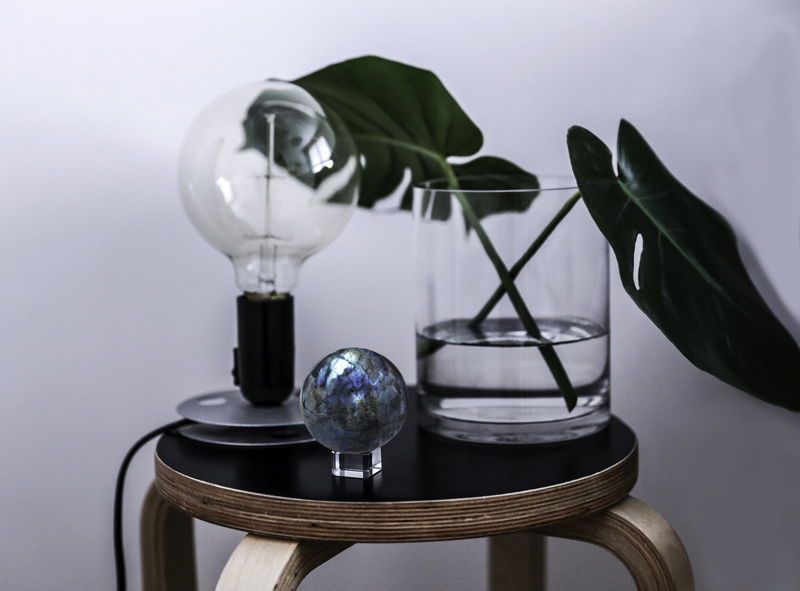 That being said and bias aside, when it comes to homewares, not only do they look great, but they also have the added benefit of balancing the energy within your space. And if you don’t believe in all that energy stuff – as I said, they look great – so in my eyes, it’s a win-win! It is no surprise that Melbourne based designer Christopher Boots and his work are making their way across the globe. His creations exude the utmost of creativity and uniqueness. Boots describes his pieces as being akin to jewellery within the space – imparting a celebration of both materiality and light. As a child, Boots was always captivated by nature, constantly collecting rocks, pebbles, feathers and sticks. “What fascinates me is the geometric symmetry found throughout the natural world – branching and growth patterns, variation and simplicity, tone and texture and of course crystalline formations,” he explains. 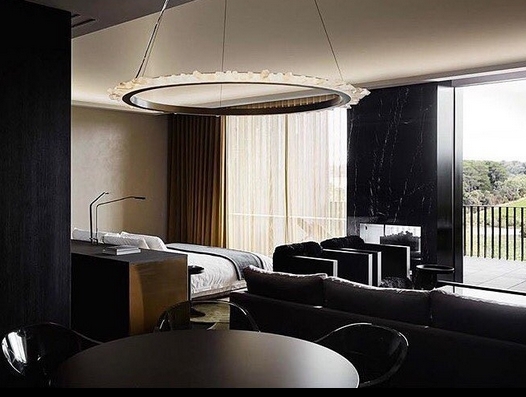 “With apparent simplicity; elegance and form are merged in our choice of materials – burnished and polished metals – faceted crystalline clusters and the ‘fire’ lit from within makes for easy visual reference,” he says. 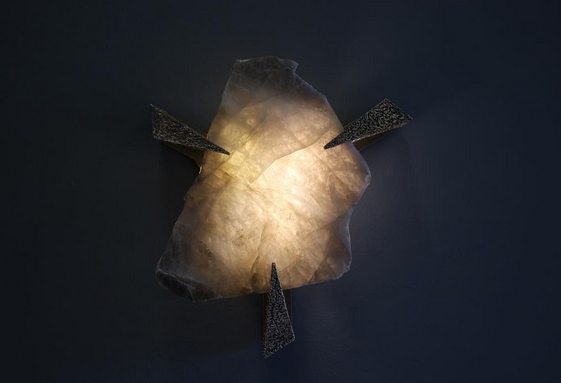 Integrating unique characteristics or materials are what continues to inspire him in both form and materiality, both of which are integral to his design process. 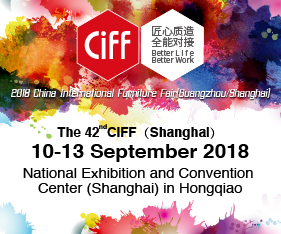 He describes working with natural minerals and the heart of Industrial Design as being a complex process of managing ergonomic, technical, material and economic factors to optimise both function and aesthetic appeal. 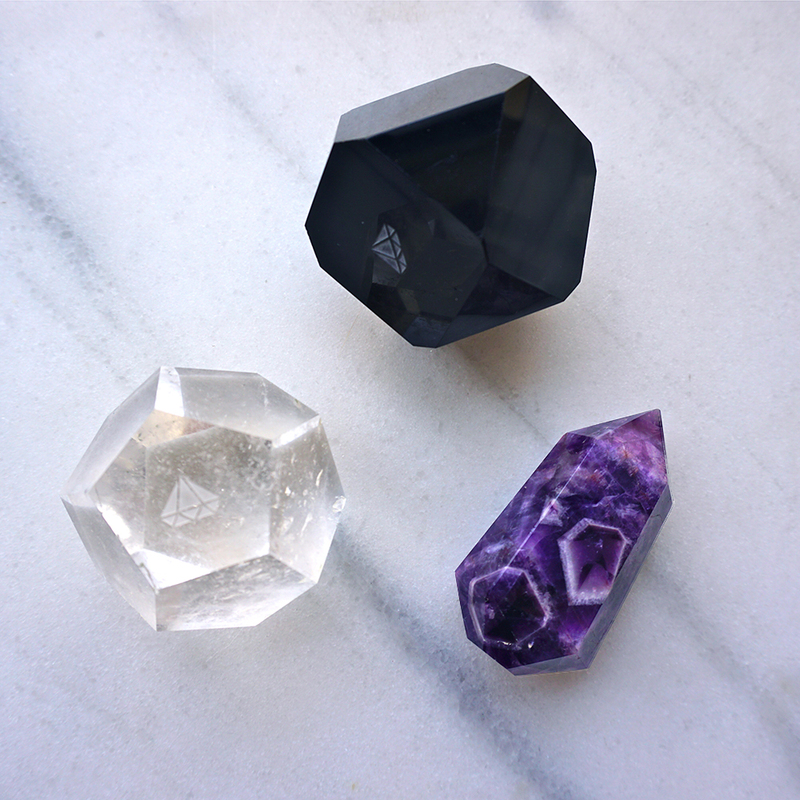 Much like myself, Ashley Bellino, owner of Stoned Crystals, lent herself to the spiritual side of yoga and meditation, and crystals were a natural progression as a result of her love for these things. Raised in the inner city suburbs of Melbourne and coming from a modern family and home, she had never been exposed to crystal energy before. 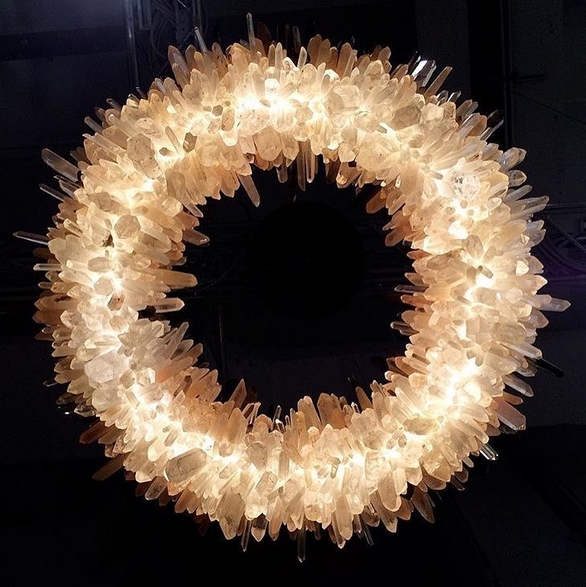 “Under the direction of somewhat of a spiritual mentor to me, I visited a crystal city looking for crystals to incorporate into an old jewellery label I had back in 2015. I learnt to feel crystal energy for the first time and also found that there were very few websites clearly explaining what crystals are, how they work and how we can incorporate them into the modern day life style,” she explains. Thus spawned her quest to bring the world of crystals into the mainstream. 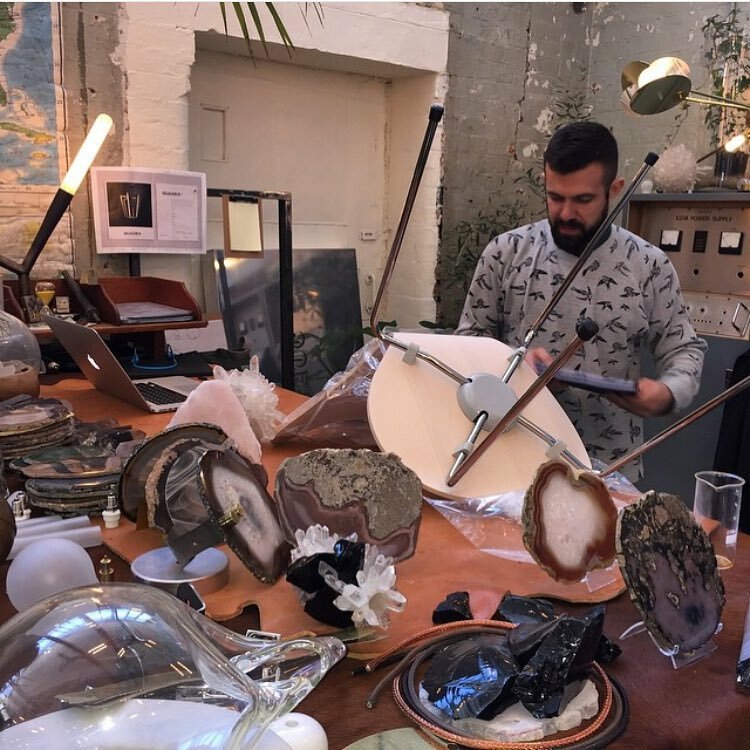 In speaking with us, Bellino made point of crystals not easily being found in the common homewares shop, with few crystal shops surviving the retail game. Her keen interest in interiors was growing as she began to decorate her new apartment, beginning to adorn areas of the home with crystals to create beautiful sacred spaces based on their properties and rules of Fengshui. “So many decor items and objects have been made out of every other natural material but crystals have somehow been swept under the rug. 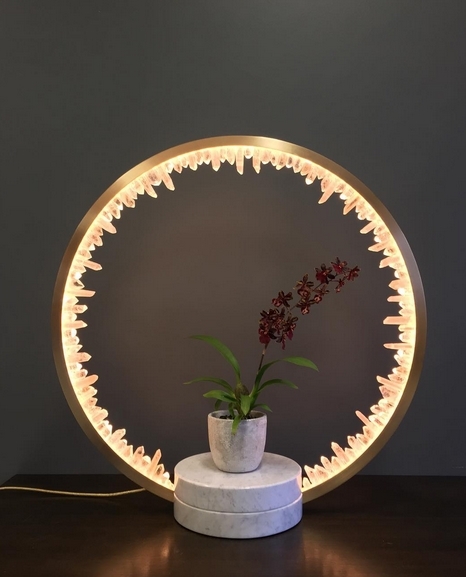 I decided that crystal homewares was something that had been massively overlooked and I relished the opportunity to rise to the challenge of changing the way people look at crystals and building products never seen before!” says Bellino. Stoned Crystals are A-grade, born in Brazil and Madagascar and raised in Australia. 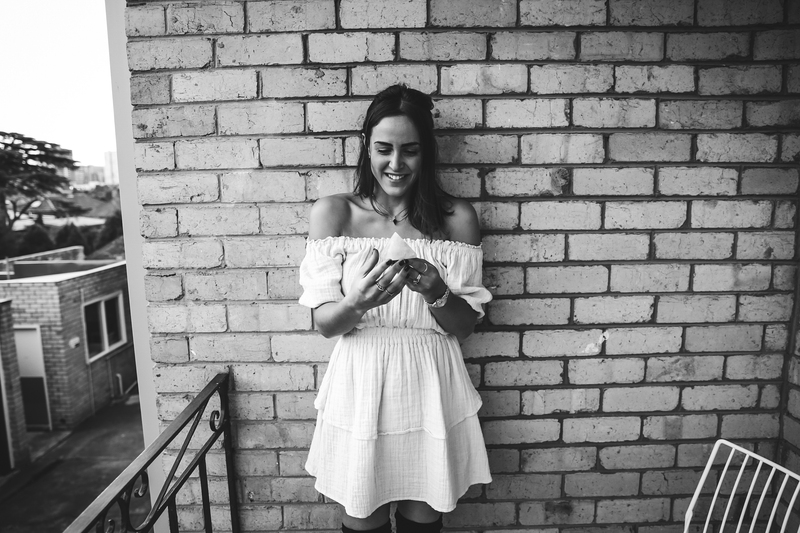 Their HQ founders and design team are Melbourne based and they sell Stoned Crystals into an International marketplace, with stockists throughout Australia, New Zealand, United States, Asia and Europe. Similarly, Christopher Boots has found success on a global scale. “Being 2017 and a global market, the internet means countries and borders are not necessarily an obstacle thus we have clients contacting us regularly from around the world,” explains Boots. The nature of using an intricate handmade process with earth-born minerals is something Stoned Crystals can also relate to. “Our expert lapidists (stone cutters) have produced thousands of crystals in all sorts of geometric shapes and have it down to a fine art. 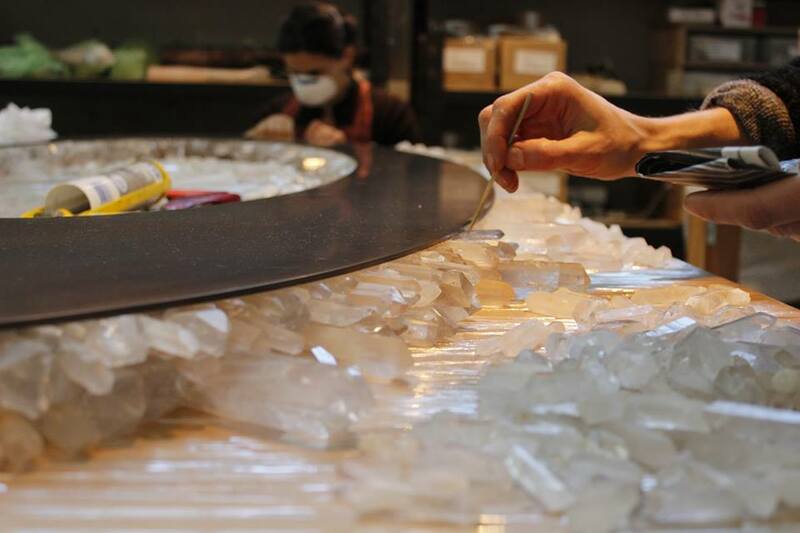 Each crystal is hand cut and polished to perfection,” says Bellino. Stoned Crystals is the world’s first Natural Crystal Decor Line for the Home & Workspace. Launched in the spring of 2015 as Stoned Crystals’ first collection, encompassing 5 geometrically shaped crystals. 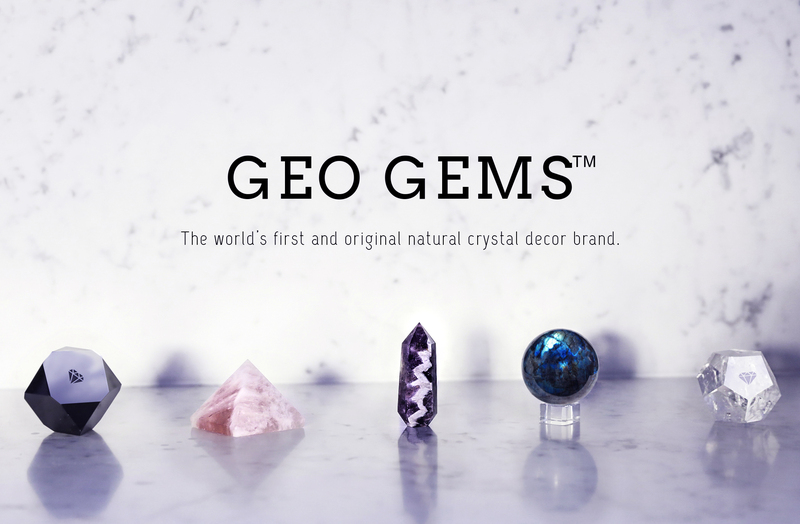 The Geo Gems range provide a fresh and modern take on crystals that create Zen within oneself and bring balance into the spaces around you. The Crystal Crush collection is a continuation of a journey to seek Zen and Balance. 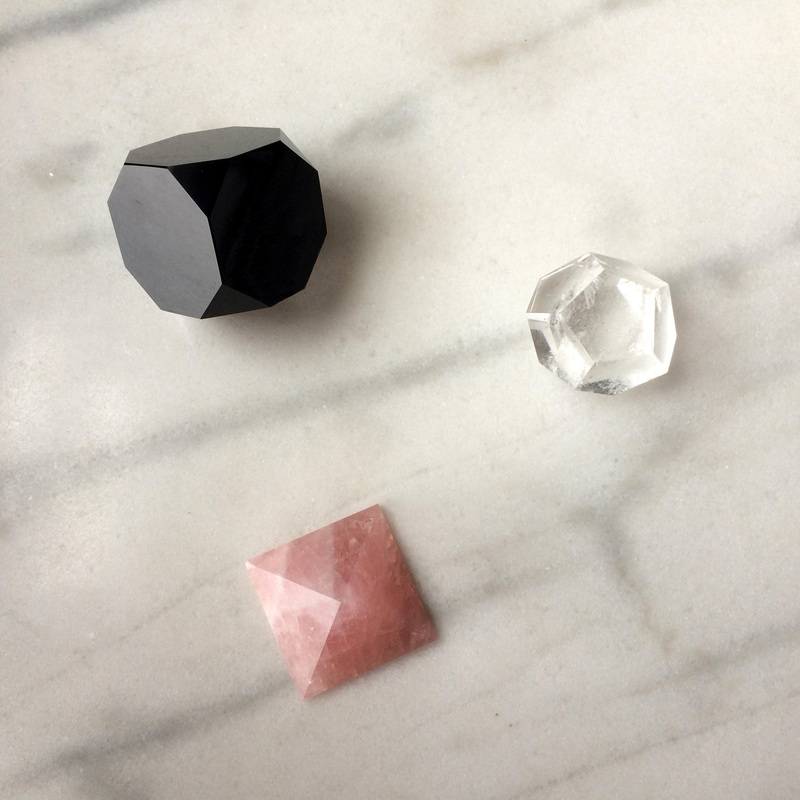 Obsessed with the concept of fusing crystal, light and ritual this collection harnesses steady crystal vibrations and brings them into everyday use. Stoned Crystals have innovated a technique using Grade A quality Crystal sheets against a glass backing that transforms the crystal into a high end designer platter. Practical, functional and stylish. Hold each platter to light and see it glow. 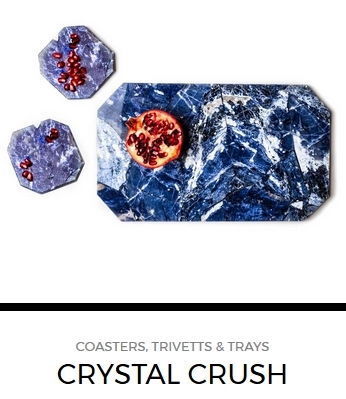 The Crystal Crush Platter and Geo Gems range is perfect for use in decorating the home and workspace. They can be used to showcase home items such as candles, makeup and toiletries, vases, flowers, jewelry and other tidbits. You can even serve food and cheese on the glass side of their platters! No doubt, Bellino is achieving what she set out to accomplish, her customer base ever expanding from women aged between 25 and 45 and a surprisingly large segment of boys aged from 7 to 12. “Some of our best sellers for the GEO GEMS are the Clearboy Clear Quartz and Love Triangle Rose Quartz. Our Clear Quartz is of impeccable quality as are all our crystals but Clear Quartz is not as easy to find with the rainbow cracks and inclusions. The Rose Quartz was the Pantone Colour of the year last year so is very on trend right now. Many of our customers will also add on a Stoned Bell Jar to their order for easy styling,” she says. 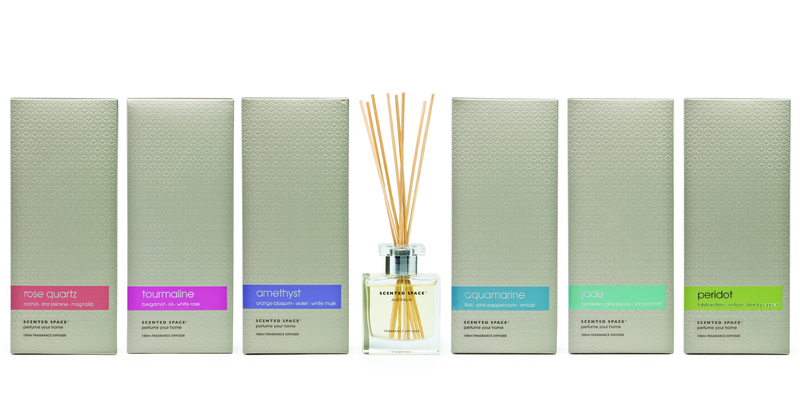 Gems are even in the inspiration behind The Jewel Collection by Melbourne based fragrance house, Scented Space. 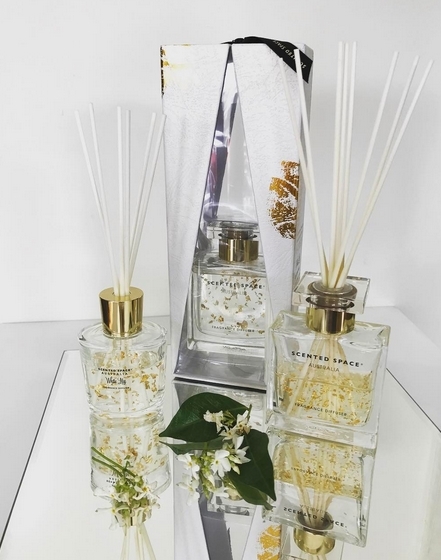 Managing director, Helen Armstrong says they were inspired by the translucence and the sparkling reflections of light when they saw the first samples of the new Scented Space reed diffuser bottle they had designed. In speaking with all our stone inspired brands, crystals commonly seem to have a habit of taking people back to their childlike selves. 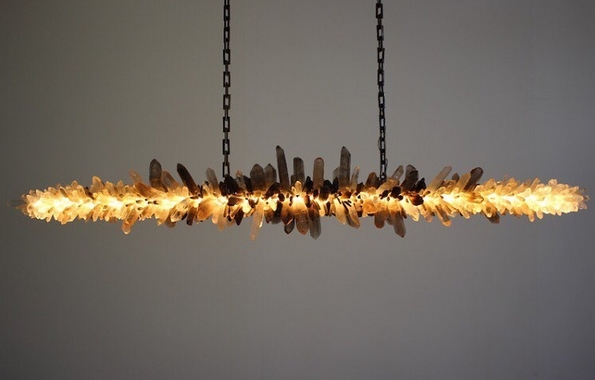 “It reminded me of crystals hanging in my mum’s kitchen window when I was young. The idea grew from there,” says Armstrong. There are 6 fragrances in the collection, each fragrance represents a coloured stone and the fragrance takes its direction accordingly. The scents in this collection are more in the direction of fine perfumes, so are quite complex. The collection features Amethyst, Aquamarine, Rose Quartz, Jade, Tourmaline and Peridot. My personal favourites being the Aquamarine and Jade! Armstrong explains that certain scents are better to use in some rooms than others. 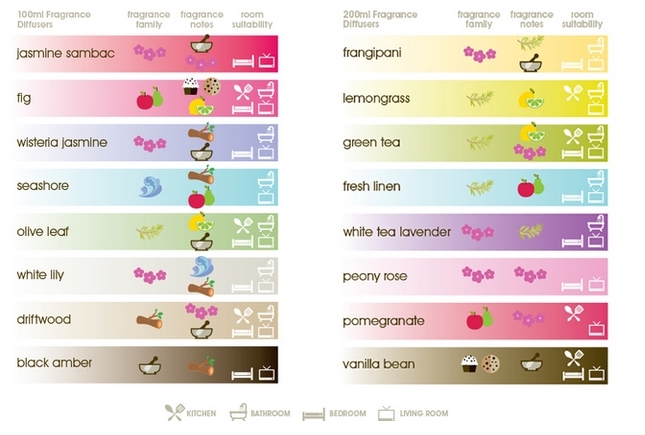 Here is a breakdown of what type of scent you should incorporate in any given space for the most ideal ambience. Lounge and sitting areas: florals are ideal especially if they complement the flowers in the house. Study or retreat areas: Woody earthy fragrances. Bedrooms: lavender and soft herbal scents are very popular as they are perceived to have a calming effect. A 100ml diffuser will last up to 4 months, depending on the environmental conditions. Their diffusers contain no water and have minimal alcohol so they have great longevity. They have been independently tested by Eurofins and found to outperform many world leading brands. Armstrong says that unfortunately, there are a lot of poor performing products on the market that are little more than water and alcohol. For these products, you generally get what you pay for. 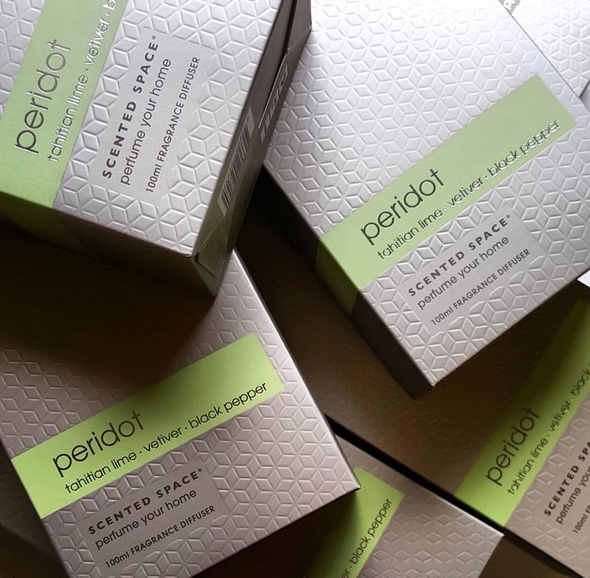 I personally have had my Scented Space diffusers for around three months, and can vouch for the fragrance being as strong as the day I opened it, not something I’ve ever witnessed in any diffuser before. Believe it or not, Armstrong was the first to bring the diffuser to Australia, after having travelled overseas in 2003. She saw a product that stopped her in her tracks, a bottle with fragrance sticks in it, based on the concept of spaghetti in a bottle. She showed a number of colleagues when back in Australia, including a buyer at Myer. “They all thought I was well ahead of the market and told me to put it in the cupboard and forget about it. A couple of years later that same buyer contacted me and asked me how quickly we could make the product as they needed a new concept on the floor. Three months later it was on the shelves at Myer and selling very quickly – the rest as they say, is history. We now export more than 60% of our production and sell in more than 25 countries,” she explains. So as you can see, Armstrong certainly knows what she’s talking about when it comes to world of home fragrance! 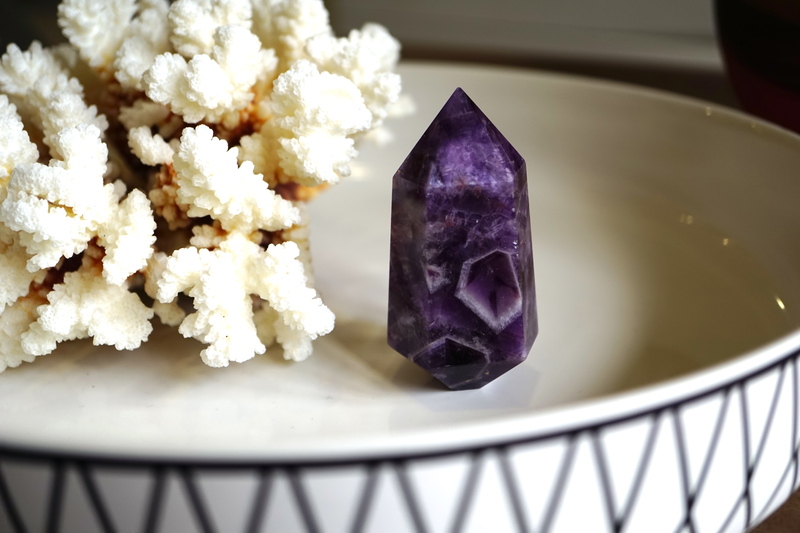 Perhaps what interested me most in speaking with each brand is each individual take on the rising trend of crystals in homewares. Once perceived at mystic and ‘hippy’ – do the owners still see it as such? Or are we perhaps witnessing an emergence of such minerals into the mainstream norm? Christopher boots tries to not to take too much notice of any trends as that can distract him from achieving his best. “I do believe that people are inevitably drawn back to the beauty and permanence of natural materials and natural forms. Who am I to say one way or another? Crystals have been used for thousands of years by cultures across the globe, principally for their beauty perhaps but also for their apparent healing properties,” he says. 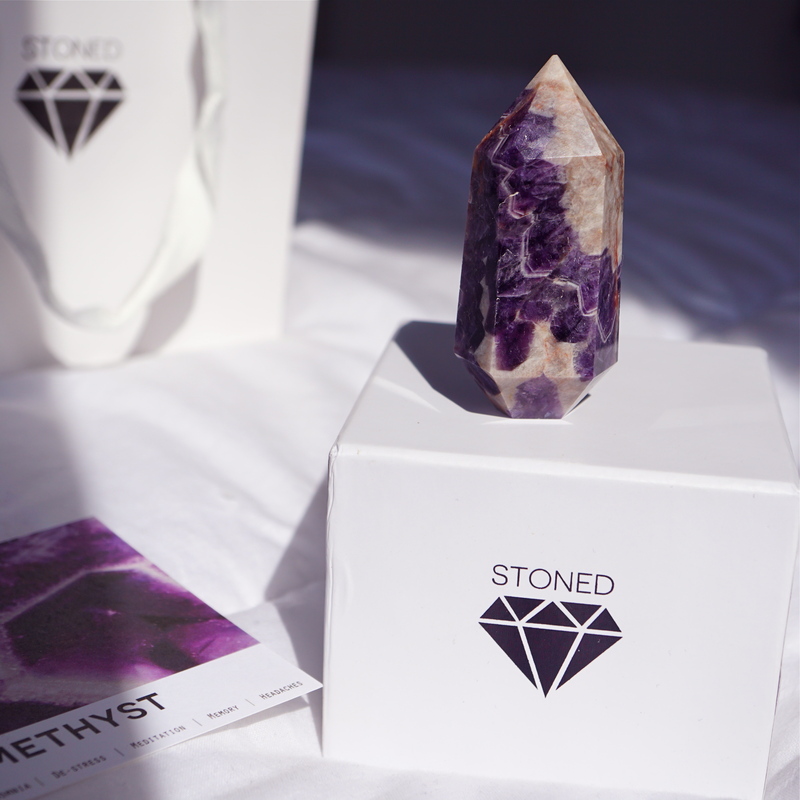 A topic most passionate to Bellino and the team at Stoned Crystals, their hope is to test the conventional use of crystals by making them more accessible and more fashionable to the everyday person. 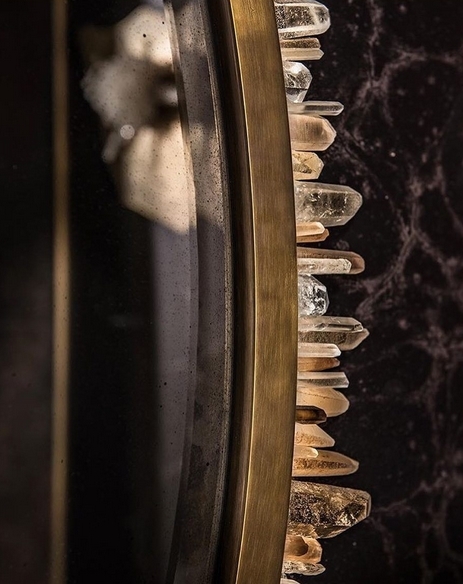 “We hope to be instrumental in making crystals on trend and giving people simple steps on how they can integrate them into their lives by sharing tips and concepts on how to style them as well as keeping the integrity of their energy and tradition alive,” says Bellino. 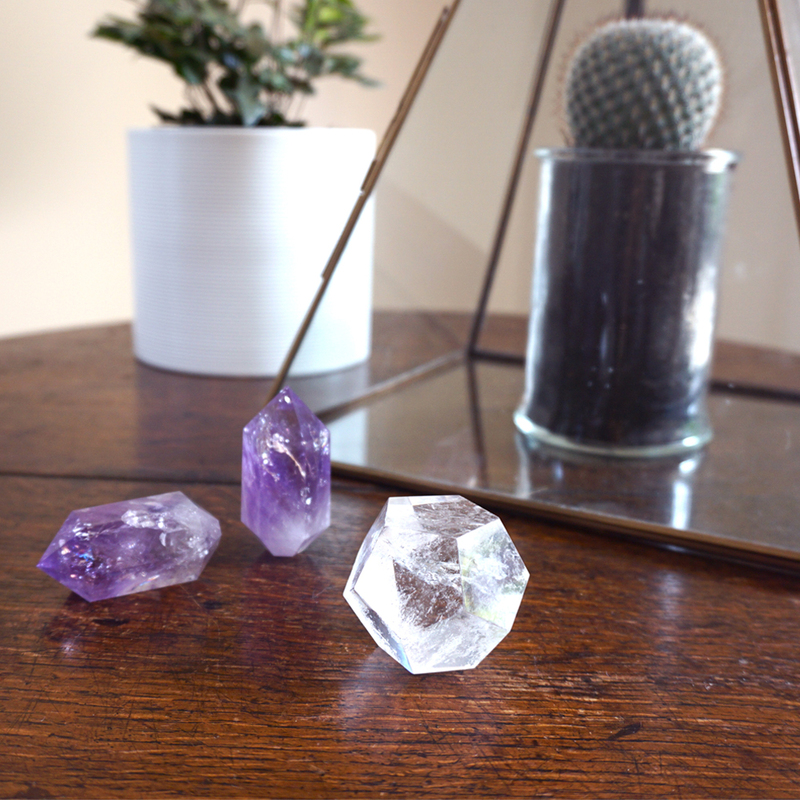 “I believe Stoned Crystals is paving the way for people to see the obvious benefits of decorating our spaces with crystals, just as we do with natural objects like plants. It is brands like ours with new to the world products that need to challenge the ‘new age’ interpretation. Crystals have for so long been boxed in as ‘hippy’ and the jargon that surrounds them has ultimately made them difficult to understand and undervalued by mainstream,” she explains. 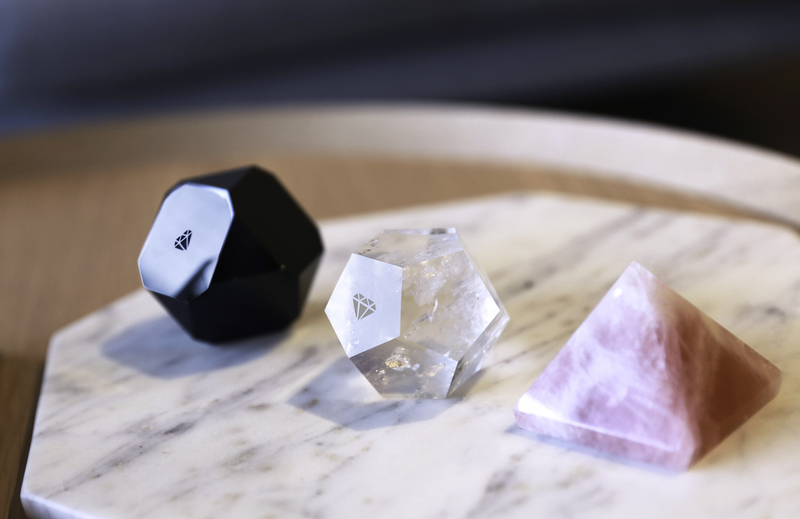 No doubt brands such as Scented Space, Stoned Crystals and Christopher Boots, are shattering the new age stigma associated with natural minerals and stones for home and office use. Don’t be afraid to start off small, perhaps a small cluster on a side table in the corner of your home. Perhaps purchase one of the Scented Space diffusers from their jewel collection. 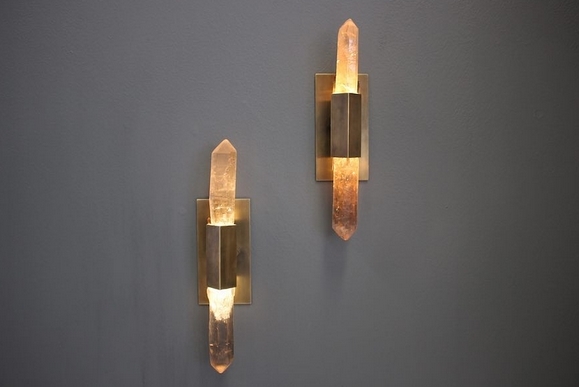 Regardless of your belief system on the healing properties of crystals, I encourage you to have an open mind when it comes to incorporating them into your home, if for nothing other than aesthetic appeal. Who knows, you might be surprised! Posted in Local Manufacturing, New Products, Talking Business and tagged Catherine Falalis, Christopher Boots, crystals, diffuser, furnishing international, gems, healing, homewares, lights, Scented Space, Stoned Crystals, stones. Bookmark the permalink.